Dr. Russel Sher has been utilizing a whole person healthcare approach to his work for over 30 years. Born in Johannesburg, South Africa, Dr. Sher was attracted to Chiropractic and nutrition as a logical and natural way to promote health and healing. Renowned for his success and passion for treating the “whole person”, Dr. Sher was invited to join a team of physicians at Great Smokies Diagnostic Lab (now Genova Diagnostics) in 1998, where he consulted and taught the principles of Functional Medicine. Dr. Sher felt strongly that Functional Medicine, a dynamic and science based approach to whole person health care, was the right path for him in his mission to assist people in their healing process. He went on to, and continues to participate in, in-depth postgraduate training in many aspects of Functional Medicine and other healing modalities. 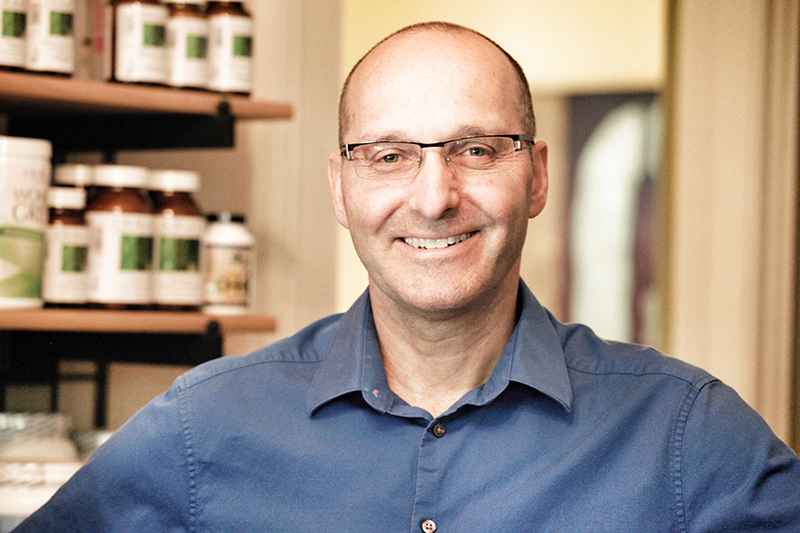 He has lectured and consulted in many countries throughout the world on aspects of Functional Medicine. Dr. Sher opened the Asheville Center for Healthy Living in 2003 to create a platform for practicing Functional Medicine and educating people about the fundamental elements of vibrant health and how to apply them in daily life. The success of his practice is measured through the health and satisfaction of his patients. In 2013 and 2014 Dr. Sher was voted “Best of WNC Chiropractors”, by the Mountain Express’s annual readers’ poll. Dr. Sher graduated from Palmer College of Chiropractic in 1986. He has practiced Chiropractic and Functional Medicine both in South Africa and the U.S.A. He is a member of the board of the North Carolina Integrative Medical Society and participates actively in staying up to date with the latest trends in Functional Medicine. Maybe you have some questions you’d like to ask before you make a decision on becoming a patient. We are happy to answer any questions you have to determine whether Asheville Center for Healthy Living is right for you.